HPBOSE Class 10 Results 2018 to be declared on May 3, Register here for your result: Well, if you are looking for the Himachal Pradesh Board of Secondary Education result then you are on a very right page. All you need to do is follow the given instructions and you’ll get your class 10th result easily on time. First of all, we would like to add that HP Board Class 10 results 2018 which was about to declared today was postponed and now all the students will able to see their result on upcoming 3rd may 2018 for sure. Also, all the students will able to download the class 10th result from the official website of the board. 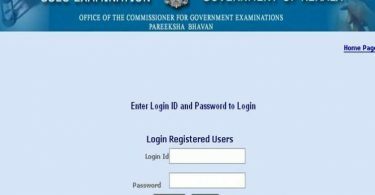 You all may know that the students can also visit examresults.net and indiaresults.com for the result on time. As you all may be heard till now that the board postponed the result which was about to come today and HPBOSE announced the Class XII results, and eligible candidates checked their grades on hpbose.org. Now, some of you may still don’t know how they’ll get the result so here we will talk about that point too. This year over 1 lakh students appeared for the Class 10 exams in Himachal Pradesh board. Even, 98,302 students appeared for the Class 12 exams. Also, the board conducted the exams from 7 to 20 March for Class 10, while Class 12 exams started from 6 March to conclude on 29 March. Overall, below we are going to talk about the step by step instructions which will help you in getting your result. First of all, you need to visit the official website of the board which is hpbose.org. After that you will see “Himachal Pradesh board results in 2018” as a link, click on it. Now, you’ll see a new page and you need to fill your information. Now, Enter roll number and click submit and download your result.